Mezcal is something Mexico still crafts with absolute passion and is generally produced in much smaller quantities. Since true artisanal Mezcal is hand crafted as described and unlike other industrialized spirits which place emphasis predominantly on high yields compromising quality by utilizing means and methods which have no soul or spirit; stripping away the very essence of what defines Mexico. Yuu Baal Tepeztate has sweet herbal notes of wild plants and cooked flowers. It’s made with wild agave Tepeztate that can take up to 35 years to mature. Dry herbal flavors with hot spice, cara cara orange, and elusive floral notes far-off in the background. There’s smoke at the finish, and moderate agave sweetness remains on the palate long afterward. Excellent for all occasions, as an appetizer or even as a complement for some of the most diverse regional foods, national and international alike. Yuu Baal Tepeztate is made with wild agave Tepeztate that can take up to 35 years to mature. Due to the length of time needed for this agave to grow, its very existence in the near future is very fragile. This mezcal has sweet herbal notes of wild plants and cooked flowers. It’s not as spicy as other Tepeztate mezcals, but it is still a very unique experience. This mezcal is made by Isaias Martinez Juan in San Juan del Rio. 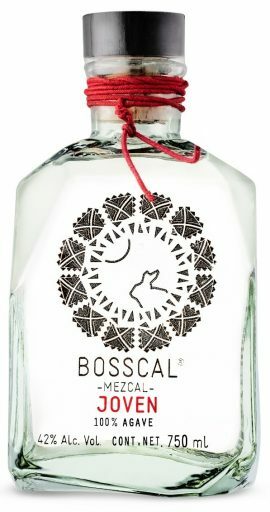 Mezcal Yuu Baal is a social enterprise that highlights the traditions of the native Oaxacan producers of mezcal. They pay close attention to detail on the complete process of production to ensure the mystical, the exotic, and the absolutely delightful taste is in every majestic drink. Yuu Baal is made up of producers in San Juan del Rio, San Luis del Rio Tlacolula and Miahuatlan, Oaxaca. The quality of the maguey begins in the earth. This means that the complete cycle of production, including planting, cutting, and distillation are done manually, and all with absolute respect for the environment.